Disclaimer: This post may contain affiliate links, which means I may receive compensation if you make a purchase using one of these links. Hey ya’ll and Happy 2018!! I am so excited that my first post in this New Year is a review of a new to me company and product. Anyone who has been around for a while, knows I’ve been interested in learning about healthier alternatives in all areas of our lifestyle. One main area we have changed over the last few years are the products we bring into our home, we have tried to focus on greener alternatives; with little humans and puppy paws all over our house, it was an important change for us. But anyone who has ventured on this change understands how difficult this can be. What are the best options? What classifies a product as ‘green’ or ‘healthy’? Sometimes making all these little decisions can be so stressful and overwhelming, you just settle on what you know. Life is exhausting, ya’ll. 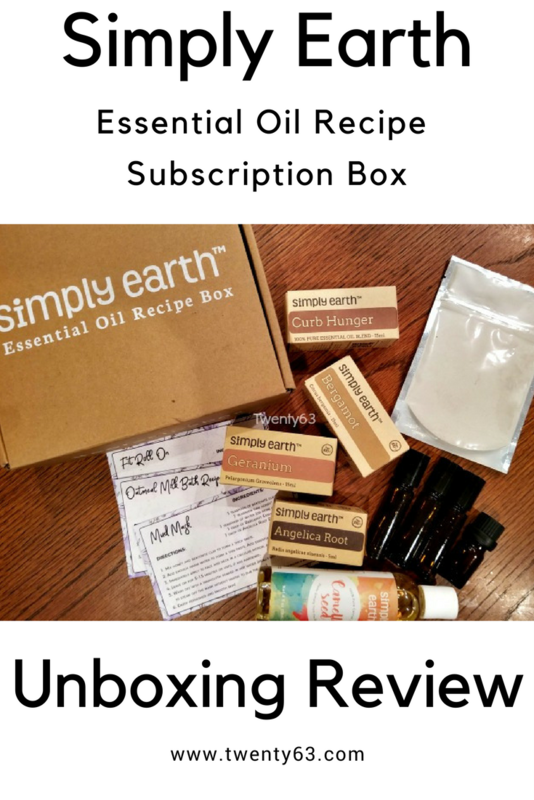 A little while back, the lovely folks at Simply Earth contacted me about their subscription box and asked if I would be interested in reviewing it. At first, I was a little intimidated because I know nothing, NADA, zilch about essential oils. But, after learning more about Simply Earth and the subscription box they offer, I couldn’t say heck yeah fast enough.